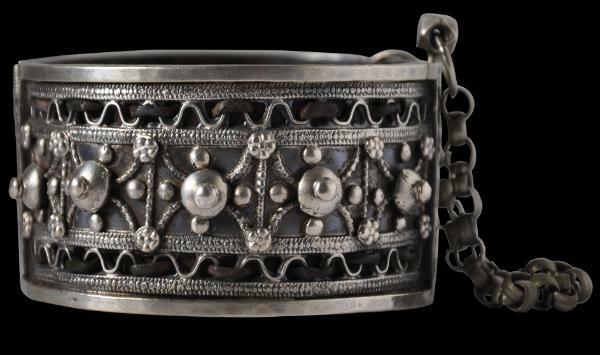 This very fine and wearable hinged silver bracelet most probably is from Saada Mashraq in northern Yemen. 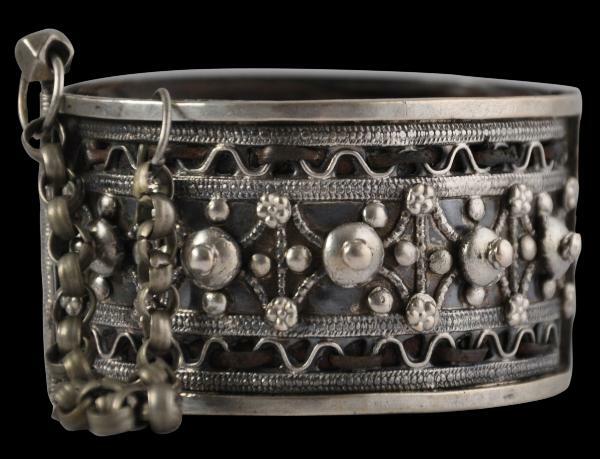 It is decorated with fine silver beading, panels of large nodules, and bands of openwork. 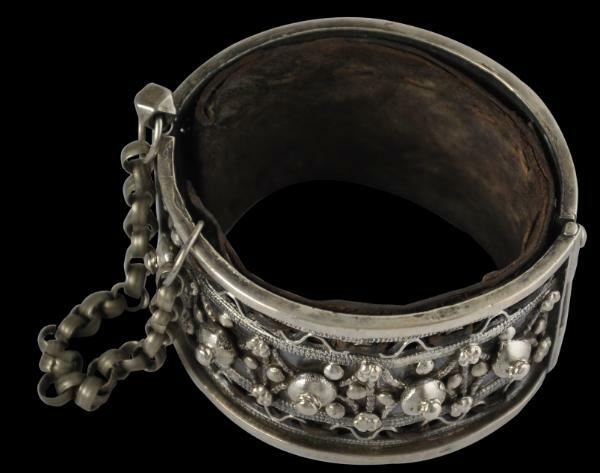 The hinge is kept closed by a long silver pin that is removed to open the bracelet. 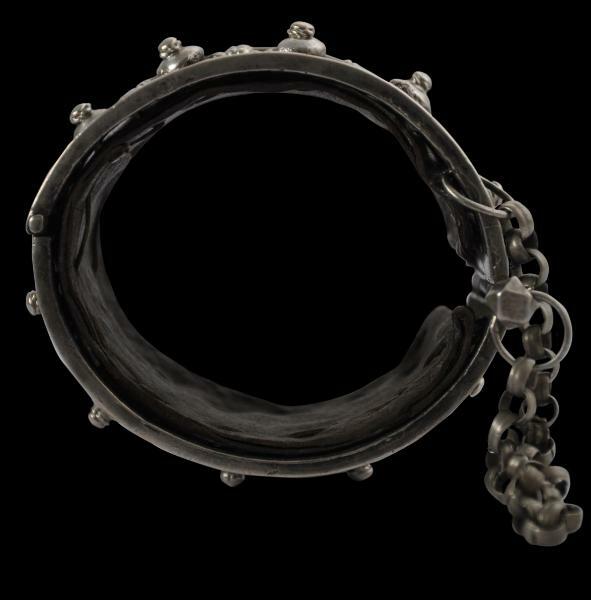 The pin is attached to the bracelet via a silver chain. 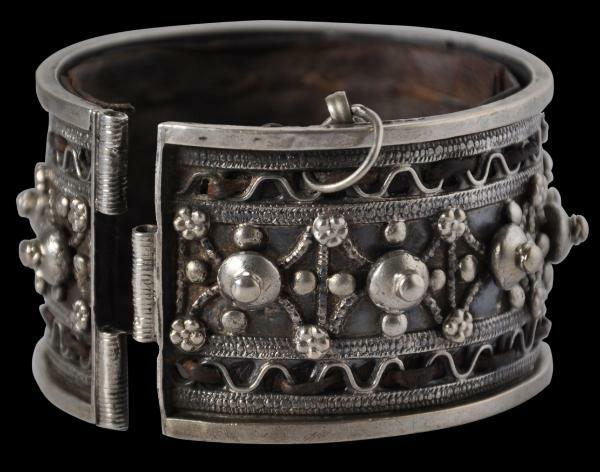 Interestingly, the interior is lined with leather (it is the original leather) which has been attaches to the bracelet by means of fine leather strap-work which has been threaded through the pierced borders to become part of the exterior design. Related examples are illustrated in Ransom (2014, p. 60). 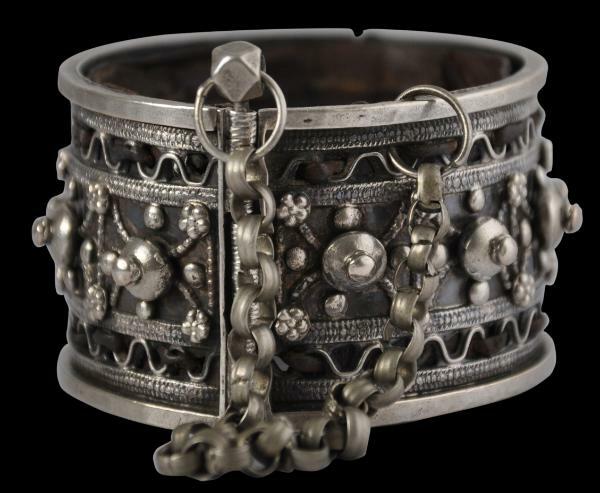 The bracelet here has a good patina and is in excellent condition.